Precise location not marked… keep reading. Sometimes the key to finding an urbex location is to develop a keen instinct for signs along the road. Why does that isolated patch of trees have an electrical box by the curb? Why does the gravel extend beyond the side of the road? Can you sit in the car honey while I wander into the woods alone? If you develop these instincts they can pay off. Photo: The house was in terrible shape. The second floor had all but collapsed into the first. It is way too dangerous to enter. Also, black mold. Everywhere. 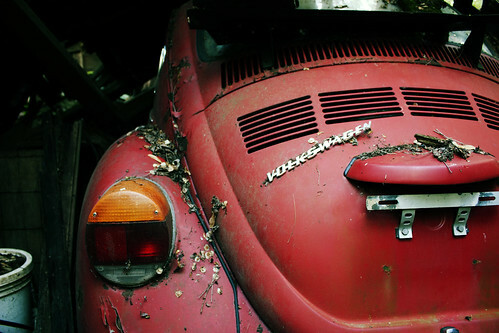 Photo: Pulling back the door of a collapsed garage revealed a cherry red Volkswagen. 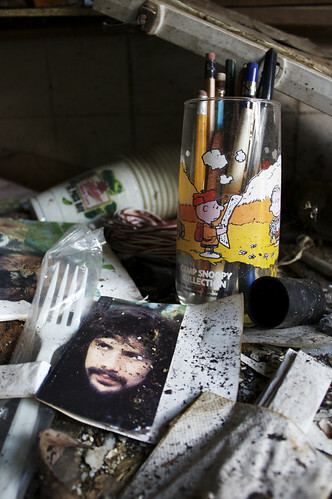 Photo: Whoever lived in this house left a majority of their possessions behind. Homes like these only heighten my curiosity. Fascinating! I wondered if you ever have explored near Eau Claire WI. There are a few abandoned homes I have always been curious about. Email me for more info. 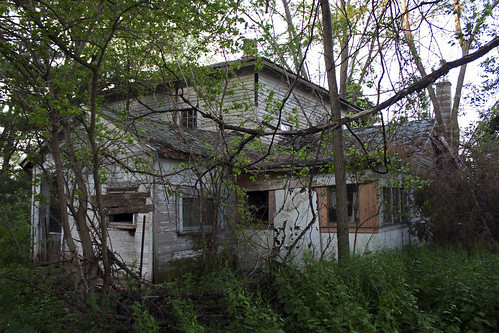 Hi, I live in Eau Claire, WI and was curious where these abandoned homes you were talking about were?